There are still points of contention, however. Xerox claims the problem can be resolved by restoring the copiers to factory default settings. Kriesel, however, has been able to show that documents still get mangled even when following these instructions. Clearly, Xerox has a lot of to do… not just to fix the technical issues, but to regain the confidence of their users, that they can trust their copiers to make faithful reproductions. What’s this all about, and why is it important? In the past couple of decades, the office copier has evolved into something a lot more complex. No longer do these machines just spit out paper copies of the documents fed to them. They now serve as feature-laden printing and scanning workstations. In addition to just making paper duplicates, you can use the modern copier as a bulk laser printer to blast out hundreds of copies of a document from your computer. Or, you can take a paper document and scan it into a digital file, often a PDF document, that can then be stored or e-mailed. The last part is where we have our problem. In many office settings, the idea of reducing the amount of paper lying around is a desirable goal, and being able to replace old paper documents with a PDF scan makes sense. Of course, the expectation is that the PDF will exactly match the original paper document. There’s just one problem: an absolute, exact copy would mean generating large, uncompressed images, resulting in huge PDF files that would be difficult to pass around in e-mail attachments, and cost a lot of money to store on large hard drives for archival purposes. For many corporate settings, this would be a deal-breaker. So, to keep file sizes down, nearly all of these copy systems (not just Xerox) compress the scanned images, using the industry-standard JBIG2 algorithm. JBIG2 does its “magic” by finding pieces of an image that are identical (or, very close to identical), and using the same piece of data to represent all parts of the image that it feels looks similar enough. This can be especially useful when working with text documents. Letters, numbers and words that repeat often can all share the same small data fragment, rather than every individual letter and number being uniquely described, every time they appear on a page. However, this method of compression can also cause problems if not implemented carefully. If the software encoding the JBIG2-compressed image isn’t configured well enough to figure out the difference between two similar-looking characters – such as the numbers “6,” “8” and “9” for example, or perhaps the uppercase “O” and the number “0” – then it’s possible that it might substitute the wrong data fragment for each character… in effect, changing those subtly-different-looking characters, and the meaning of that word or figure. This can have huge ramifications when the character changes mean substantial changes in meaning. Financial documents, contact information, or any other type of critical data aren’t tolerant to having their meaning changed, potentially causing all kinds of critical, maybe catastrophic errors. This is Reason One why, when scanning for archival purposes, preservation masters of digital objects should not use lossy compression algorithms. Now we see that it has ramifications for even day-to-day reproduction of documents, as well. If you have been using a multifunction scan/copy/print system like this to scan and archive your paper documents, I would strongly recommend checking those documents for accuracy. Avoid using such a machine for scanning of any critical documents you intend to archive long-term, until you have had a talk with your vendor, and know what algorithms are being used to encode image data. 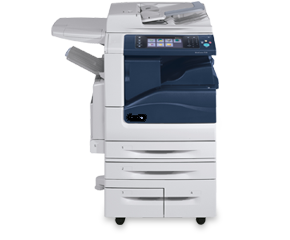 Further, people using these copiers for even basic copying of documents are well-advised to inspect the accuracy of numbers, mathematical figures, and any other content where accuracy is key.